Kristin's role is the day-to-day management of CEA's French Riviera and Berlin programs, including student services, host institution relations, local vendor relations, program academics, student evaluations, health and safety, and office administration. Kristin earned a master's degree in German language and Literature from the University of Nice, Sophia Antipolis, France, and is fluent in English, German, and French. Prior joining CEA, she worked as a Program Planner in London for a U.S. organization specializing in educational tours of Europe for high school students, as well as a Program Director for a study abroad organization in Paris, Cannes, and Krakow, Poland. 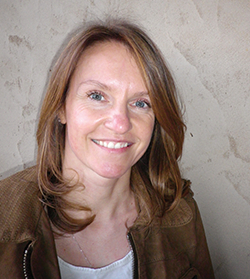 A native of Leipzig, Germany, Kristin has lived and worked in France, Germany, England, Poland, and Canada. Kristin loves the great outdoors and would love to run a marathon in Alaska one day. The best piece of advice Kristin would give to students going overseas is, "Make the most of every minute of this experience. It will be with you for the rest of your life."